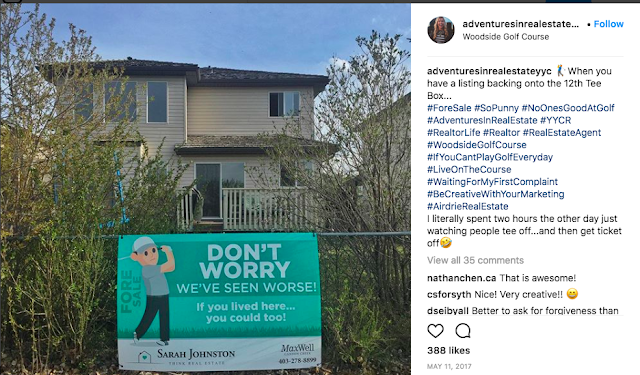 Sarah Johnston (aka @AdventuresInRealEstateYYC) has what many might call “Instagram magic.” Beyond being an Instagram influencer, Sarah Johnston is an agent with MaxWell Capital Realty—Bridgeland, in Calgary, Alberta, Canada, and is also the president-elect to the Calgary Real Estate Board. She has even brought her talents to the University of Calgary as a guest instructor on the use of social media in real estate marketing. 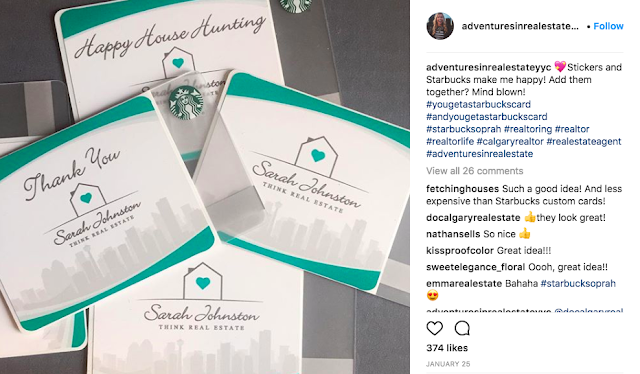 Sarah was gracious enough to do a Q&A with me to share some of her tips for improving your Instagram presence. See what she had to say, then find ways to incorporate her tips into your business with my “Coaching Playbook” commentary. A. I get 100 percent of my leads through past and current clients, and Instagram. It’s strange, but I don’t find I have to “convert” them. Most of the time the leads know a lot about me before we’ve even met. Sarah gives glimpses into her business life. That being said, I still have to prove myself because the leads have usually been given a few other agent names from friends and family as well. “The proof is in the pudding” and therefore I make sure that my buyer and seller presentations and all my contacts (thank you cards, notes, etc.) are 100 percent professional. Turning my business into a bit of a well-oiled machines is paramount. Treat your business like a company so leads don’t get lost, and everyone you work with should get the same, high-quality level of service from you Every. Single. Time. Sarah shows her commitment to professionalism on Instagram. On the Job Training: What about you? Are you sharing your authentic business life or just listing after listing on social media? 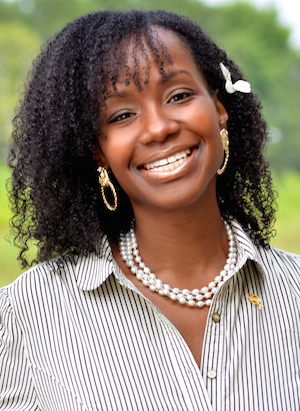 Sarah successfully connects with other because she shares her life. How can you improve your IG game? Q. What is your DISC personality type? I’m a strong DI (in fact, they are both in the 40s and maybe 1 percent apart if not tied), and I’m an ENTJ on the Myers-Briggs scale. Lee’s Coaching Playbook: As both a D (dominant) and an I (influencer), Sarah is very outgoing. So please do not look to her as an example if you are more introverted and feel you would have to change who you are to follow her methods. However, Sarah’s commitment to her clients can inspire introverts and extroverts alike. Furthermore, through my doctoral research where I studied some of the top 1,000 agents in the U.S., I found that introverts are highly represented among the elite top producers. In other words, success in real estate sales is not reserved only for the extroverts. On the Job Training: What is your DISC personality type? Find an online free test if you don’t know or remember. 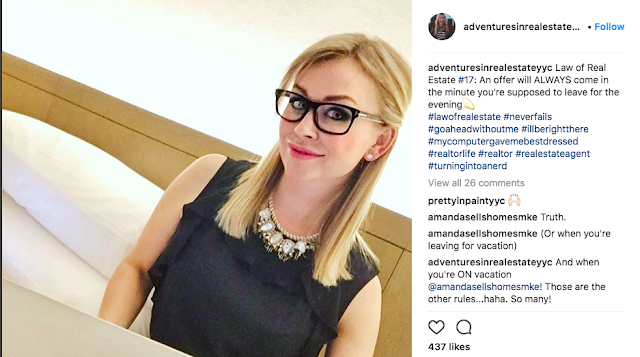 Who are other real estate pros that share your same personality makeup? What can you learn from them? What can you learn from those that have opposite personality profiles from you? Q. What motivates you each day? 1. The three things I am grateful for from the day before. 2. Whatever goal or affirmation I’m working on (this gets written out 25 times). I’m also reading the Daily Stoic so I have a small paragraph of positive reading in the morning. This helps set my day straight. If I can get a run, walk, or gym time in before I start work, that’s golden too! Lee’s Coaching Playbook: Do you take time to be grateful for the accomplishments in your day-to-day business? Sometimes we focus too much on what we want to achieve, we miss the blessings right in front of us. On the Job Training: How can you show daily appreciation for your business’s journey? When we lose sight of the end goal, that means we are just going through the motions without any fervor for the future. How can you remind yourself of your goals on a daily basis? Q. What advice do you have for struggling real estate pros? Set out a daily schedule and STICK TO IT! Your business is a small company. What do you love about your favourite store or restaurant? How do they treat you? How do they make you feel? Can you count on them for service and would you refer your friends to them? Design your own business this way and your world will change. Examples of Sarah’s creativity and professionalism. Lee’s Coaching Playbook: There are a lot of real estate licensees in the world. Often, what helps us to stand apart and become someone’s “agent for life” is the client’s experience while working with us. On the Job Training: How can you be as good as your favorite store? What do you love about it? How do they handle issues? How does an experience there leave you feeling? How can you incorporate this into your business? Q. What are your favorite biz tools/resources/apps? BOOKS! I love reading and have made it a priority. You have to keep reading and learning. Business tools grow your knowledge and they change all the time. What I’m saying is that my favourites change all the time. What I find new and hot today, I may not even like next week. I love listening to podcasts and anything audio when I drive, so Audible is a must. Coaching Playbook: When we stop learning, we often stop growing. On the Job Training: What would you like to learn in the next 90 days? How can you ensure you learn something new as often as possible? Q. How did you overcome a low point in your business? I feel like I overcome low points on a weekly basis because that’s the nature of real estate. I’ve been pretty public about my “meltdowns,” and know I’m not alone. At the end of the day, you have to remember why you’re doing this. Dig deep, put your head down, and keep on working. The steely determination will get you through anything. This is all such a life long battle but acknowledging where you are helps. This is a journey and I’m so sick of everyone thinking it’s easy! They see someone on a podcast or a show and think “wow, this person is a prodigy. They make a million dollars their first year! Wow! So, what’s wrong with me?” All of those stories are a lie. This business is hard and you must keep working. No one magically fell on top of the mountain. Every successful person I know has worked their butts off to get there. Full stop. Hard work. Keep going. Follow your daily ritual and just keep going. 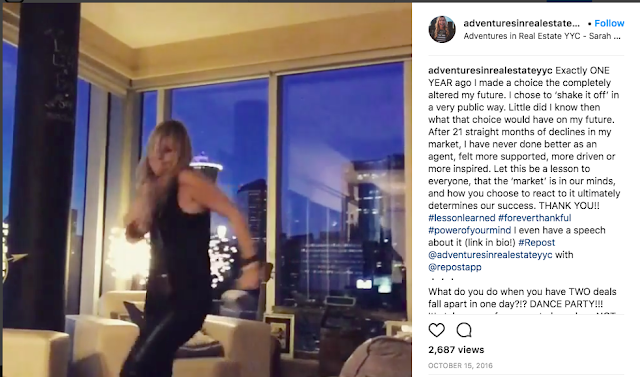 Sarah’s video (click photo to watch) to motivate herself and others on Instagram. Coaching Playbook: Henry Ford said, “Failure is simply the opportunity to begin again, this time more intelligently.” In other words, our best learning experiences can come from failures. On the Job Training: Name a recent business fail. What is the lesson can you learn from it? How can you begin again more intelligently? This post is part six in an ongoing series featuring top producers.